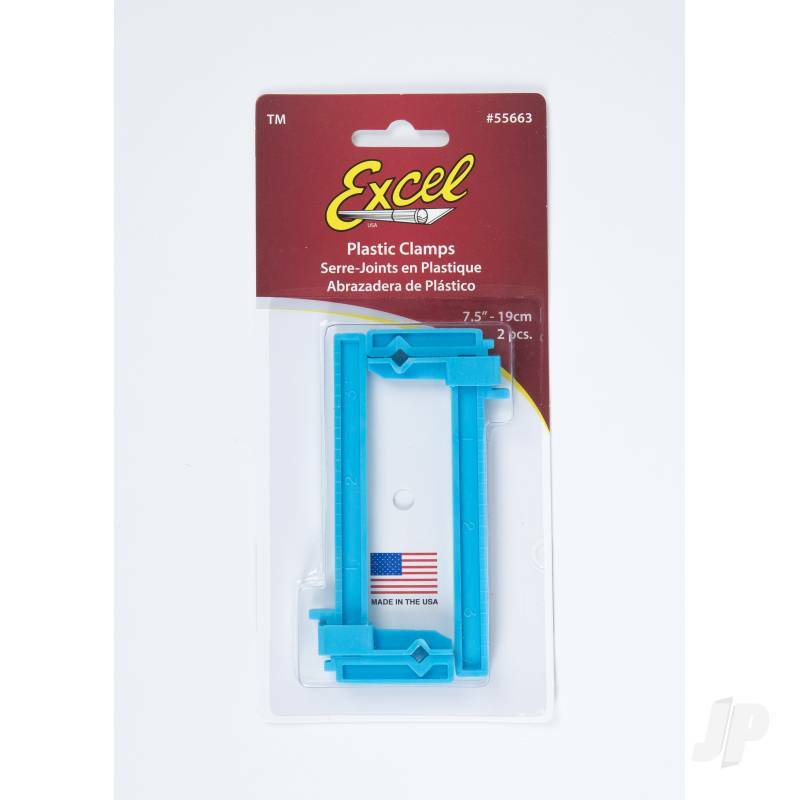 Two per pack - 3.2in-8.1cm opening, 1in-2.5cm depth. 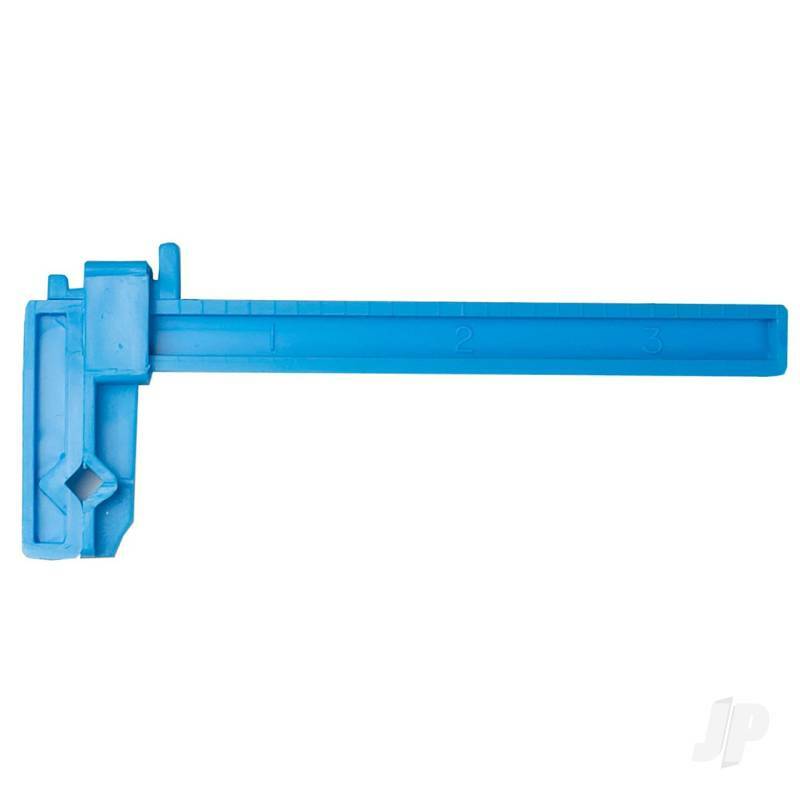 Vibrant blue durable plastic clamp used for delicate work. Equipped with side beams indicating useful inch scale. Notched jaws secured by an easy to use locking wedge.